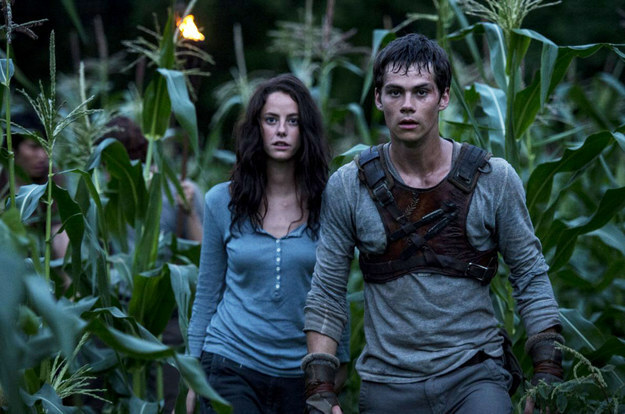 The Maze Runner is yet another dystopian teen film based on a bestselling YA novel. Haven’t we had enough of these already? From the trailer, I didn’t really have any idea what the film was about. It looked action packed with an appropriate amount of dystopian mystery for the genre and audience it was going for. That was good enough for me. I love The Hunger Games, and while Divergent and City of Bones left me wanting to claw out my own eyeballs, I wasn’t prepared to give up on the genre just yet. I love a good mystery. If a book or a film doesn’t have me asking questions from the beginning that it’s unlikely I’ll keep reading or watching. But there’s a limit to it. If all I ever have is questions and no answers, that is an entirely different but equally infuriating issue. 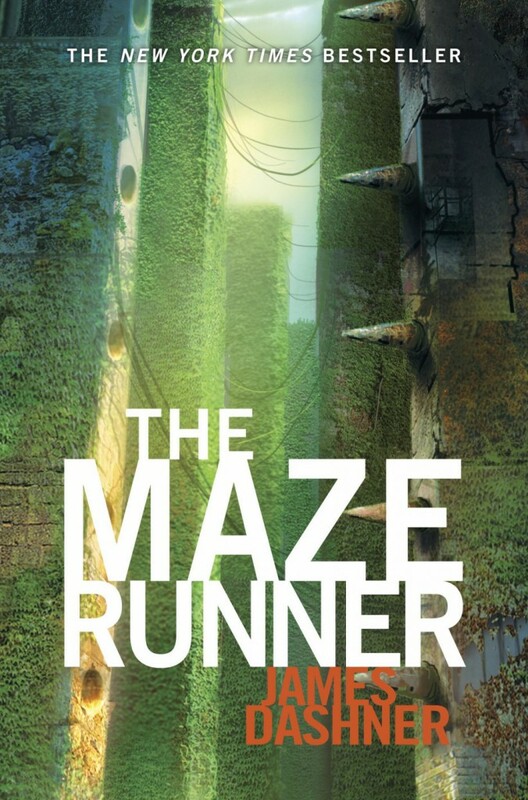 The Maze Runner throws up so many questions you won’t know where to begin looking for answers, and don’t worry, by the end of the film you aren’t really any the wiser. A cage raises to the top of an idyllic glade. Inside is Thomas (Teen Wolf’s Dylan O’Brien), a boy who can’t remember his past or even his name (at first), along with supplies. None of the boys in the glade can remember anything before they arrived and have no idea why they’re there. Having to fend for themselves, they have formed their own society, with three simple rules: 1) everyone does their part; 2) never hurt another Glader; and 3) never go outside the Glade. 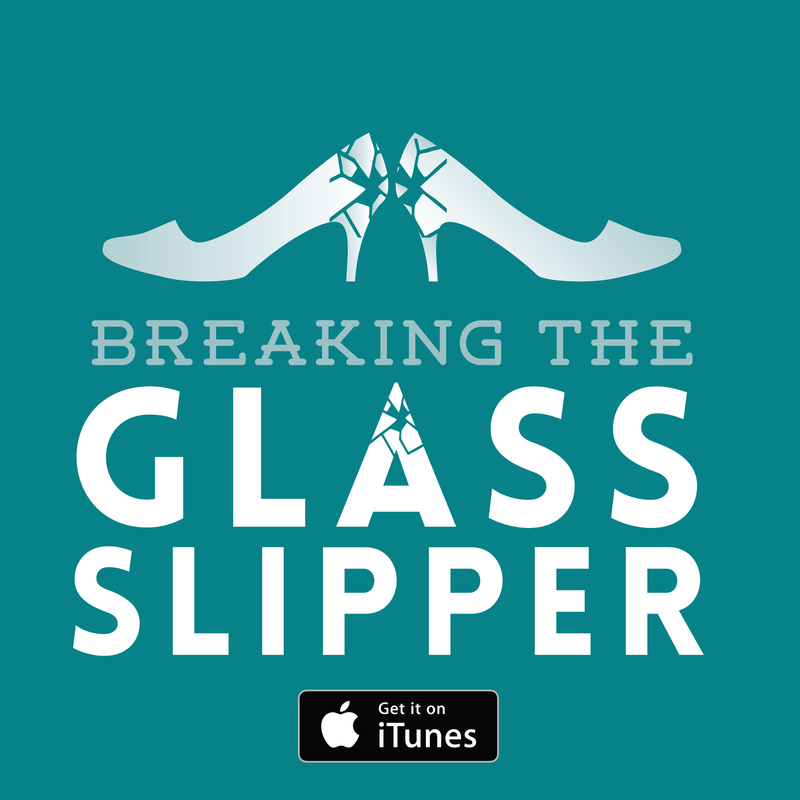 Thomas’s arrival to the Glade quickly turns things on his head. He is curious and persistent, not content to live as the boys have lived for years. Thomas wants to find a way out of the Glade through the maze. Rules are broken and the balance of the ecosystem is shifted when Thomas kills a griever (a mechanical monster from within the maze). When a girl is delivered to the boys and a note saying she will be the last, they must take charge of their future. Fantasy, or speculative fiction in general, allows for a great number of allowances to be made. No matter how absurd or out of this world the storyline is, as long as it is internally consistent readers/viewers will suspend their disbelief and buy into the fantastical world on display. The trouble is, that world needs to be well established to get a good footing from which to build character and story. In The Maze Runner we have very little information about the world given to us. Of course, this is the point, but to keep us hooked, there needs to be a little more information divulged as time passes. Some elements of the premise are intriguing, I think it would have made a great episode of Star Trek: The Next Generation, where the entire crew of the Enterprise wakes up in the glade, not remembering anything about their past and having to make their way out of the maze – all as part of some alien psychological experiment on humans. Sure, that could work. And 45 minutes of it would be just about right. But for 113 minutes in a full feature film? Not only is the ‘world’ under-developed, so are the characters. They quickly move from mysterious and interesting to completely infuriating. 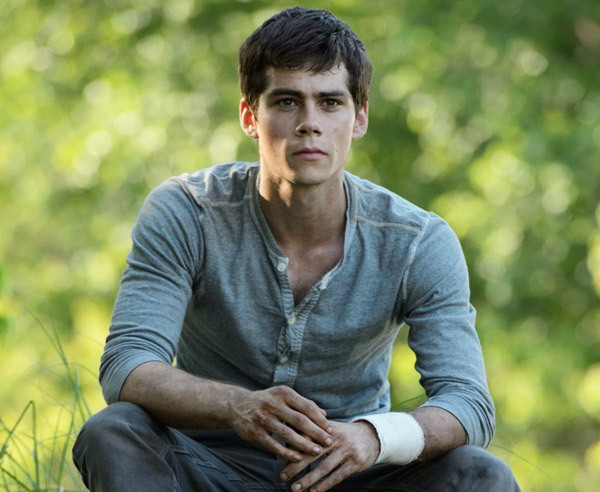 When Thomas reaches the Glade he has questions – like any normal person would. Meanwhile, the others are all frustratingly cryptic, and he mostly just goes with it. And why are they being so coy? What is the point? It’s not that they know any more than anyone else and need to keep him in the dark for any reason. Thomas quickly befriends Chuck, who accidentally refers to the walls beyond the Glade as a ‘maze’. It appears that he shouldn’t have given away that tidbit, but why? Immediately following everyone speaks freely of the maze. Unlike similar stories such as Lord of the Flies, there’s barely any tension between the boys. We get the impression they have been living peacefully and productively for years. It is only Thomas that is causing a problem and a potential struggle for power within their societal structure. But how is that possible? These are a bunch of teenage boys shut in an enclosed space with no hope of escape… How have they not turned on each other already? 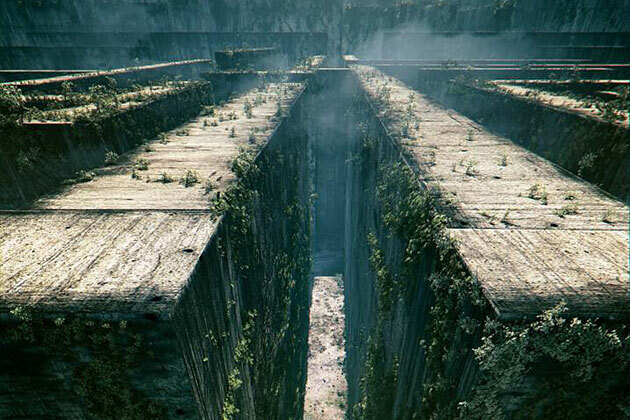 The fantastical elements present in The Maze Runner go too far past the line of believability, with no effort taken to add a hint of realism to the tale. As a result, it’s difficult to care about the characters, to feel an adequate sense of rising tension, or to continue giving a damn about any of it by the end. Who cares if I have all these questions about what’s going if I no longer care to find the answers (not that I get any answers anyway)?! There is so much in this film that just does not make any sense. Having not read the book, I went into it completely fresh. I had to find a plot synopsis of the book online to make any sense of the film, and as it turns out, the book is quite spectacularly different (though no less insane). By the end you still don’t know what the truth is, if any of it is even real, or have any decent hint as to ‘why’ any of it happened to begin with. The explanation given is highly questionable – the person delivering the information is shown to be untrustworthy – and really doesn’t make much sense. It seems like an incredibly convoluted plan that had not even a remote guarantee of coming to the appropriate conclusion. Amongst the completely deranged plot there are some solid pieces of cinema, however. The set is quite spectacular, with the setting an intriguing design. 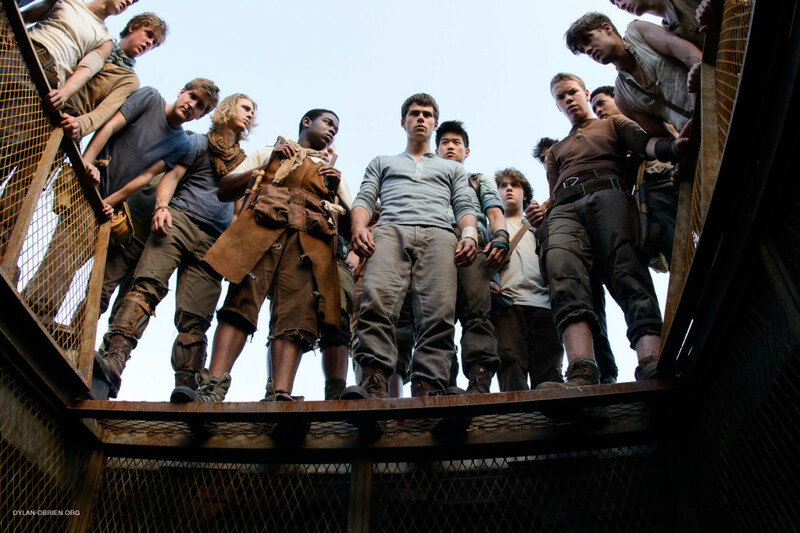 The Glade itself is beautiful, and what the boys have done to create their own civilization is wonderful. Juxtaposed to the mechanical walls of the maze, lined with ivy and cracked concrete, it makes for an interesting disharmony of imagery. The creature design on the grievers was a little disappointing – their legs being a nice mix of biology and technology, but their faces looking a bit too much like the giant spiders of Harry Potter or The Hobbit. The actors featured were also admirable. I’ve long been a fan of Thomas Brodie-Sangster, voicing Ferb in one of my favourite cartoon shows, Phineas and Ferb. And to his credit, Newt is one of the better-depicted characters of them all, and certainly the one that keeps you glued to the screen. 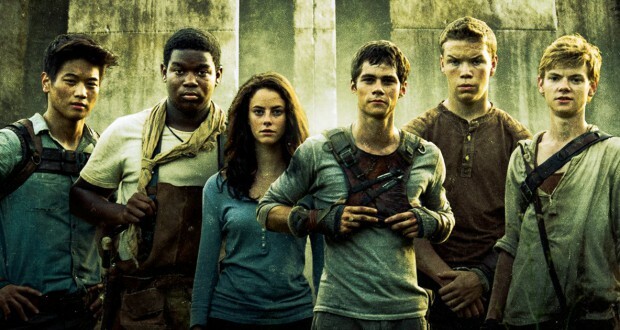 Ki Hong Lee and Will Poulter in supporting roles steal their scenes, while Dylan O’Brien as the lead is just tiring. He is supposed to be exceptional, but I never felt he was anything more than a pretty face and a vacant expression. Verdict: This is a truly awful, infuriating film. It makes no sense and is full of forgettable characters. Even if it is meant to set up a series, there can (and should) still be some answers by the end of the first installment. Next: Idiocracy: Flawed comedy or terrifyingly prescient science fiction?